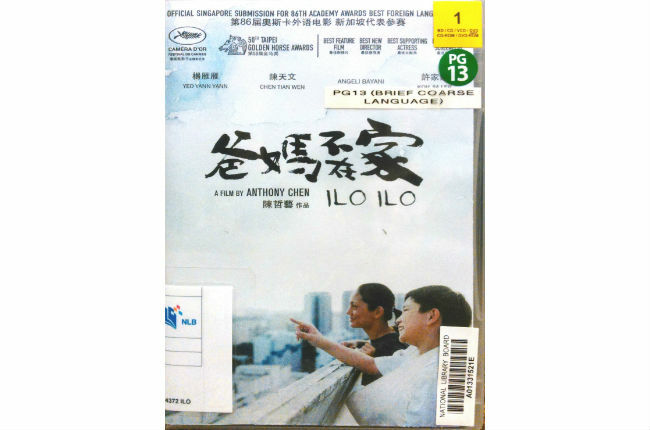 Ilo Ilo is the first Singaporean film that shone in the international film arena. The film has won more than 30 awards, including Camera d'Or at the Cannes Film Festival and 4 Golden Horse awards. Set in the 90s during the financial crisis, the film tells of how a Filipino maid, through an enduring period of time, managed to foster a unique bond with the boy she was caring for. In the beginning, the boy was hostile towards the maid, exhibiting wilful and exasperating behaviour, but gradually, the maid won him over and she became part of the family. This is a story close to the heart of many Singaporeans, especially those who have maids at home. Pick up this DVD and see for yourself why this local film deserves the many awards that it has won. Above review is contributed by Tey Hwee Chen, National Library Board (NLB). The DVD covers are the copyright of the respective movie production companies.